Last night we had the pleasure to be invited to my best friend’s house, Rochelle, who is one talented baker. As well as helping us bake this delicious treat, we was also fed Paella for dinner and a fun evening of games! 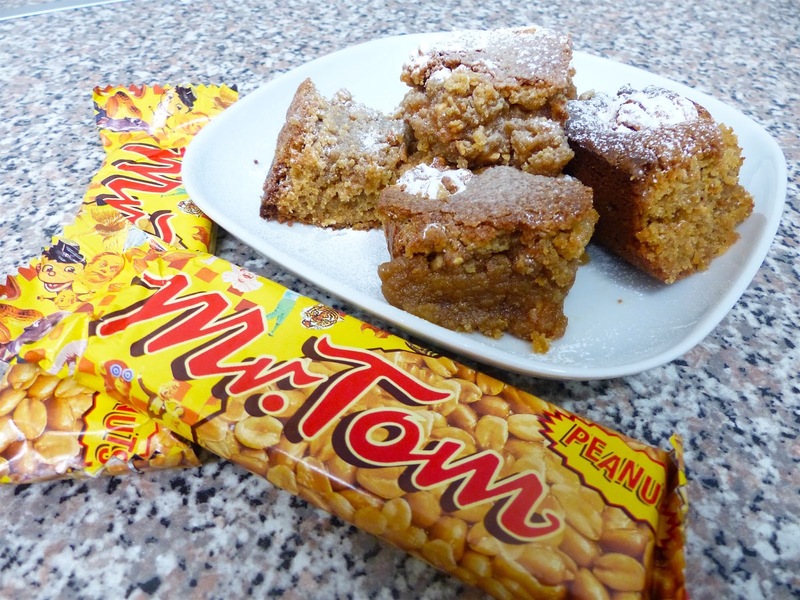 A while ago, we had received some Mr Tom nuts* and had given the challenge to create a recipe including this nut bar, there was so many things we could make, but we thought we would try something we hadn’t made before, Blondies. These were a big hit within both our families, so if you’re a big peanut butter fan, trust me, you’ll love these! 1. Pre-heat your over to 180 degrees. Prep your square cake tin, spray oil/rub butter on the sides and place baking paper at the bottom. 2. Melt your butter in a pan over a medium heat, then pour into a heatproof bowl. Set to the side to cool for 5 minutes. 3. Meanwhile, combine your flour, baking powder and salt together in a separate bowl. Set to the side. In another bowl, combine your eggs, honey and vanilla. 4. Go back to your melted butter and combine your soft brown sugar, then add your egg mixture. 5. Then combine your dry ingredients and add your broken Mr Tom nut bar*, using a spatular to fold in the mixture together. 6. Pour mixture into your cake tin, place some extra Mr Tom nuts* on top and play into the over to baker for 20-25 minutes. These look amazing! I definitely need to try these on my next baking day! How delicious! This looks so delicious! We don't have Mr. Tom (or anything like it) where I live so I won't be able to try it unfortunately. Oooo I love peanut butter so we'll have to try these! I'll get the boys involved too! 🙂 mmmm!